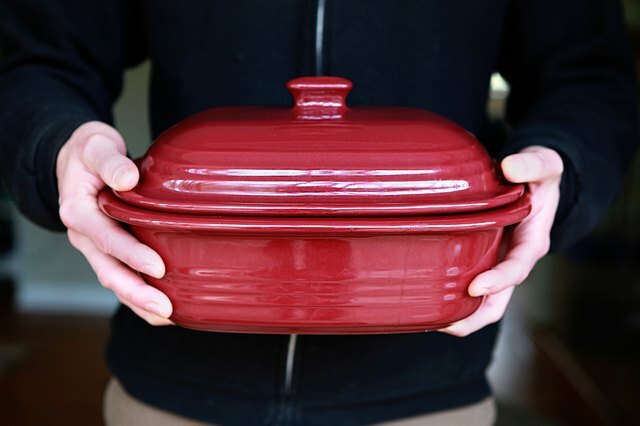 A versatile stoneware dish works well for many dishes, including hearty pot roasts. Pampered Chef stoneware, like other brands, becomes seasoned over time and takes on a nonstick quality, making cleanup easier. 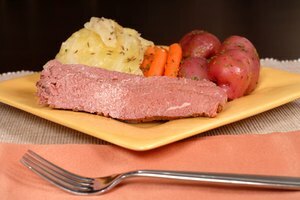 Pot roast is a down-home recipe that has earned a place on the list of favorites for its winning tastes and ease of preparation. Make pot roast with your Pampered Chef stoneware for a combination that looks as great as it tastes. 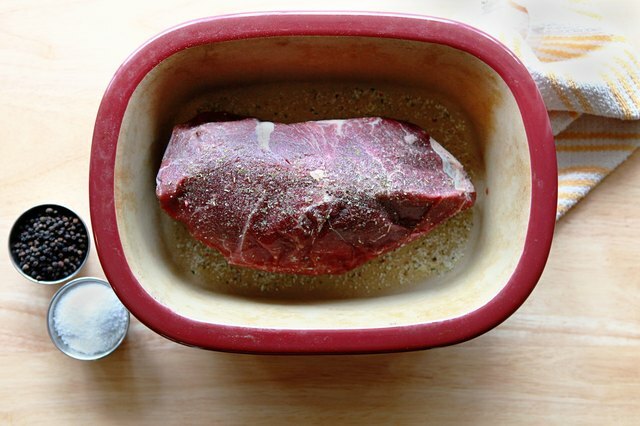 Sprinkle a 4- to 5-pound roast generously with salt and pepper. Place it in the Pampered Chef stoneware baking dish. It should have plenty of room around it. Preheat the oven to 325 degrees Fahrenheit. Wash 2 onions, some baby carrots and 2 stalks of celery to remove the dirt. Slice the onions in half and remove their outer skins. Remove the tops and bottoms of the celery stalks and cut the celery into 3-inch pieces. Leave the carrots whole if they're small or chop them if they're large. Place small new potatoes around the roast, distributing them evenly around the baking dish. Add the carrots, onions and celery around the roast. Combine 1 cup of red wine and 1 cup of tomato sauce and stir to mix. Pour the mixture over the top of the beef and vegetables. 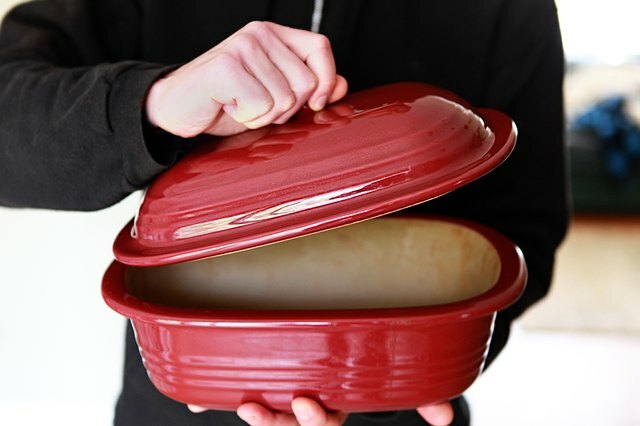 Put the cover on the baking dish and place it in the oven. Bake for approximately 3 hours. The baking time will depend on the size of the beef and how well done you like your meat. Cook it so the meat reads 145 F on an instant-read thermometer. 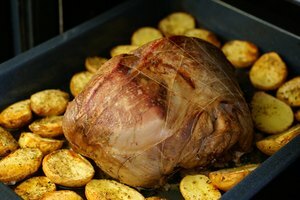 Remove the Pampered Chef dish from the oven after the meat is cooked. 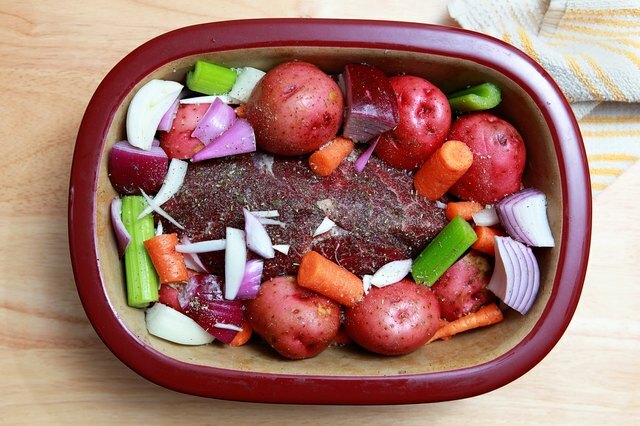 Take the roast out of the baking dish and place it on a cutting board. Slice the pot roast to serve. 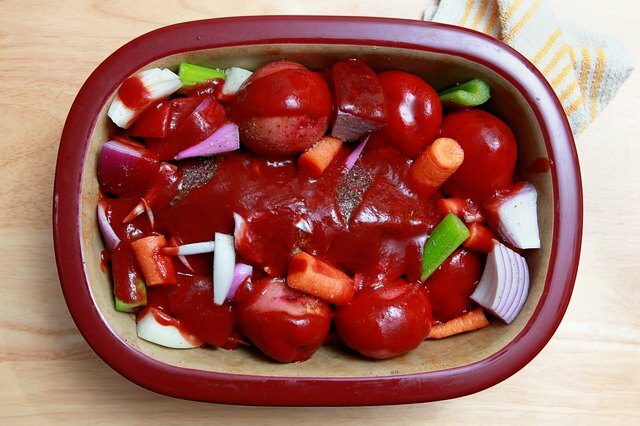 Keep the vegetables warm in the baking dish by covering it with the lid. 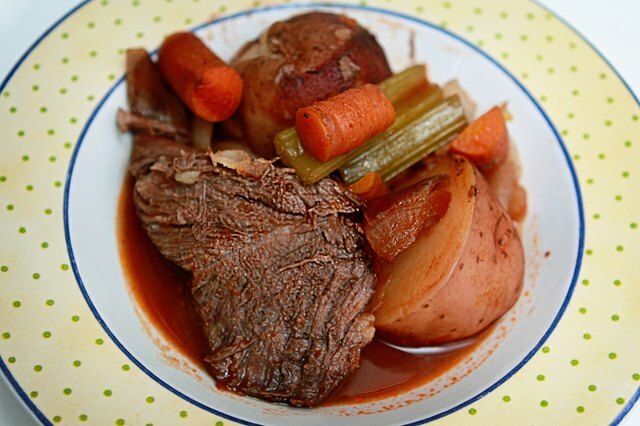 Serve the pot roast with cooking juices drizzled over the top and vegetables on the side. Meat cuts you can use include boneless rump roast, chuck roast and sirloin tip.